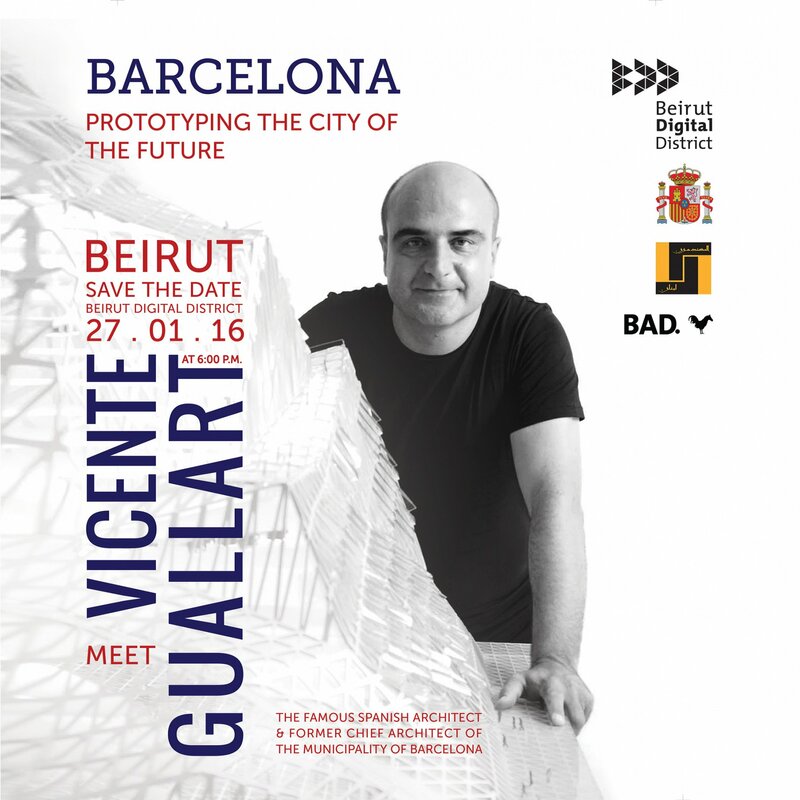 Vicente Guallart, the famous spanish architect and former chief architect of the municipality of Barcelona, will be visiting Beirut Digital District on the 27th of Januray 2016. 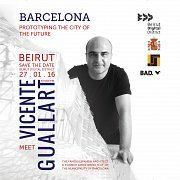 He will discuss several points; some of which will revolve around Barcelona's Urban planning history, his project during his authority as Chief Architect, Smart Cities and what Lebanon can learn from the Barcelona experience. Don't miss your chance to not only hear all about Guallart's work from the man himself and the many tips he has to share, but also to meet and connect with other architects and students following his presentation. Please do not forget to RSVP following the link below as seats are limited!